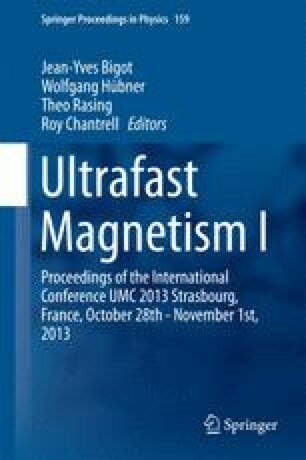 Magneto-optical system for the study of nano- and picosecond magnetization dynamics in garnet films by using Faraday or Kerr effects is presented. Time resolution of the system is determined by the duration of the laser pulses (10 ps) and the response time of the photo-detectors (30 ps). This work was supported by Ministry of Science and Education of Russia under grant 11.519.11.3023.